This was made using the instructions from The American Duchess Guide. 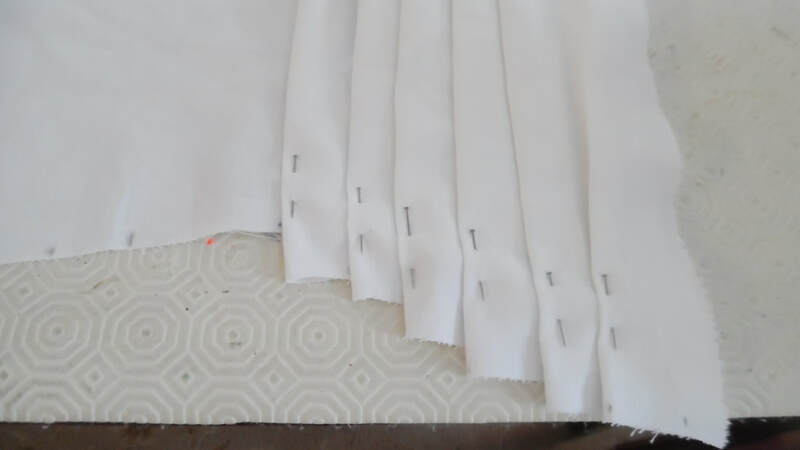 We ended up with the majority of the pleats towards the front and their pattern has a curve. 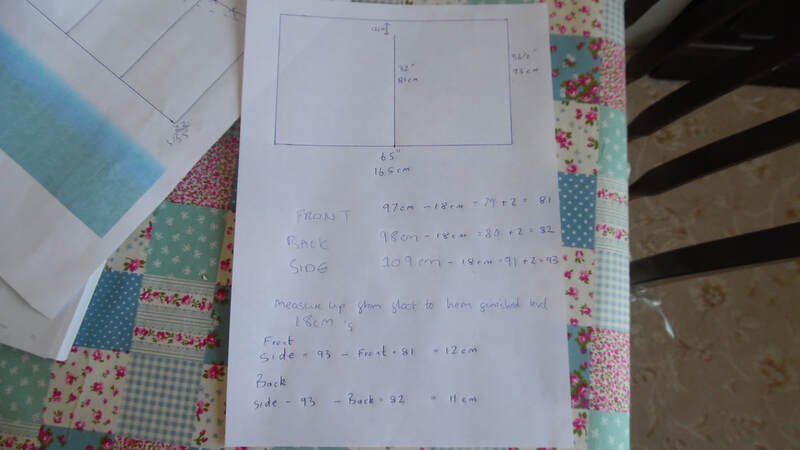 Having made this up, we weren't completely happy with it being made as the outer petticoat. So when we come to making that, we will use a different method. Just showing you our calculations to create a curved pattern. Having pleated up both pieces, it looked like there was enough pleating to go over the hips, but after trying it on, the pleats could have done with being further back. 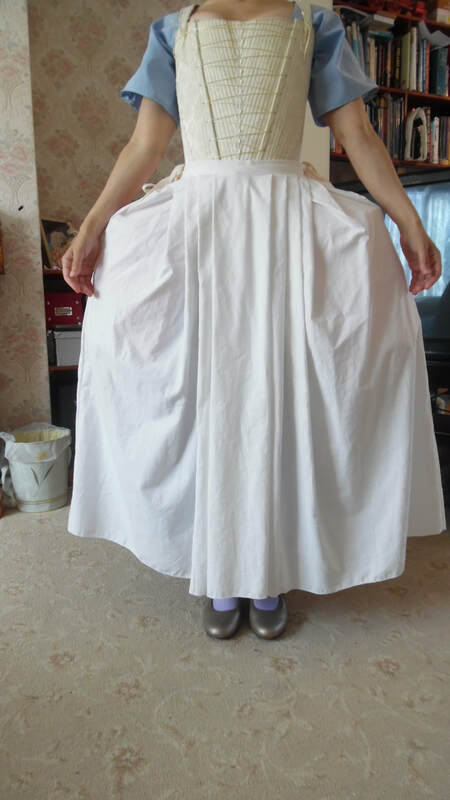 As this was the under petticoat, we weren't too bothered about the look. Each piece needs to fit half your waist measurement. Cut a waist band, turn and sew down on the inside, leave the ends open, or you can sew in your tapes beforehand. 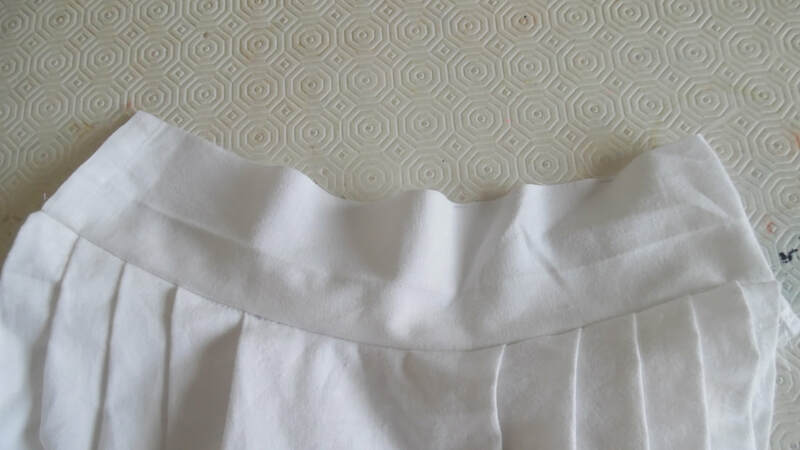 Because of the lack of pleating to the side, it made the pocket gape. If you did not attach your tapes before you turned the waistband, sew them in now. 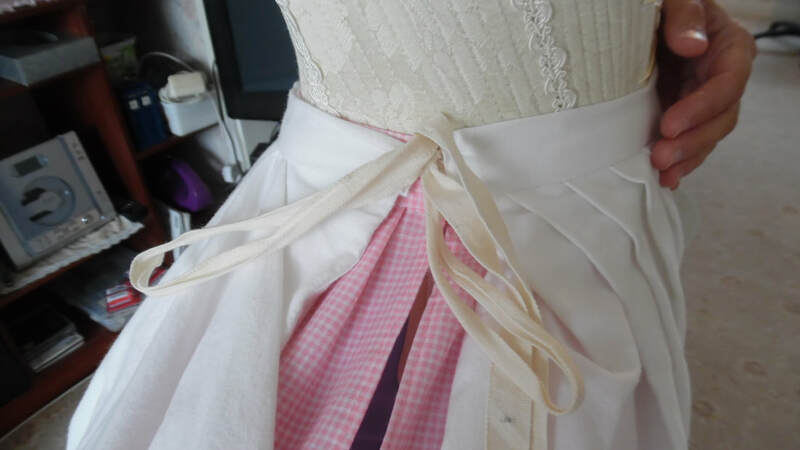 This completes the Under Petticoat.